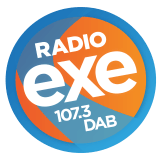 We bring you the latest traffic and travel throughout the day on Radio Exe, during Breakfast and Drivetime. Plus, we also keep you up-to-speed with the latest situations on public transport and the latest departures and arrivals at Exeter Airport. If you spot any problems on the roads, then give us a ring on Exeter: 829173.